Today, I thoroughly intended on writing one or two entries to wrap up my blogs from Paris, but for some reason, when I went to do so, I blacked out. Several hours later, I woke up completely refreshed, on the kitchen floor. So, I must have been overtired from my first day of work. I will try my hardest to, at least, do one update tomorrow. I’m no miracle worker, but I can try. If I don’t — let the heavens strike me down. Besides, it’s supposed to be crappy out, so why would I want to do anything but sit at the computer? I can’t think of anything better to do, until Thursday when it’s going to be 81! I’m already super excited. 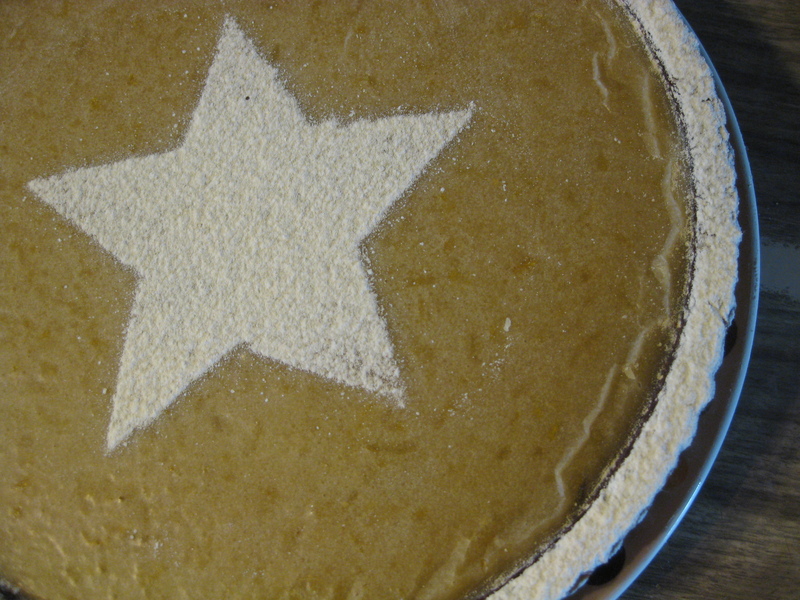 Anyway, to make this post not completely worthless, I’ll post some pictures of a lemon torte I tried to make. It was a complete and miserable failure, much like the rice baguettes I tried to make yesterday. I suppose, I should tell you about the rice baguettes. The reasons I have for making this failure of epic proportions all stem back to my affection for Hollywood starlet, Gloria Swanson. In the 1930s, she would oftentimes fall ill for no apparent reason, but doctors always told her she was a perfect specimen of health. She went on like this for years until a friend suggested a homeopathic physician. Homeopathic physicians use all-natural remedies to cure all sorts of maladies, from scurvy to cancer. She thought this man was a quack when she went to see him and he wanted to see her earlobes and asked her what she was eating. But, she listened to him and got better. For the rest of her life, she was a strong activist against refined white sugar and all kinds of foods like that — because refined white sugar is nothing more than poison. Many years later, she met a very fat man named William Dufty. She told him about the sugar that was killing him, but he thought she was a quack like the doctor before her. When Mr Dufty started to get fatter and sicker and sicker and fatter, he decided to try cutting out sugar. Amazingly, he went from 200+ pounds to a svelte 135, because he cut out sugar from his diet–in all forms. Eventually, Gloria and William were married and he wrote a book entitled Sugar Blues which details the history of sugar and the very reasons that it is bad for you. Sugar, when refined, is nothing more that empty calories with no nutritional properties. In fact, it can kill you. The sugar acts like a sponge and draws vitamins, oftentimes Vitamin B, out of your body. Eventually, when people have sugar every day, they will begin to suffer malnutrition, and a variety of other dreadful diseases, or feel tired. Interestingly enough, native peoples in the years of European exploration, were always incredibly healthy people with very strong teeth. But, after the Europeans came and introduced them to sugar, they would inevitably get cavities and contract diseases like scurvy and beriberi. These diseases can both be traced back to sugar. So, it seems silly to keep eating it when it’s no good for you. I have always had a special interest in natural medicines and remedies. For example, when I have a headache, I no longer pop a pill. Instead, I press two pressure points on my head and the pain goes away — almost instantaneously. (The pressure points are located just between the eyes and above the nose bone, or whatever it’s called, and on the back of the head, right at the base of the skull.) So, inspired by my readings, I looked through the cupboards and was shocked to see the vast amounts of sugar in everything! It’s everywhere, from my beloved Cheerios to a can of beans to store-bought bread. But that’s not enough for that nasty store-bought sponge — it also contains high fructose corn syrup, just another name for sugar. This horrible little crystal is everywhere, and it is nothing more than a drug. Anyway, I decided to start experimenting with different baguette recipes that are healthier. My first experiment so far was with a rice baguette. I read somewhere that flour made from polished rice is often used in place of wheat flour for people who suffer allergies from white wheat flour. I had no rice flour, so, I put a whole bunch of rice into the Magic Bullet and pulverized the little grains until they were a fine powder. 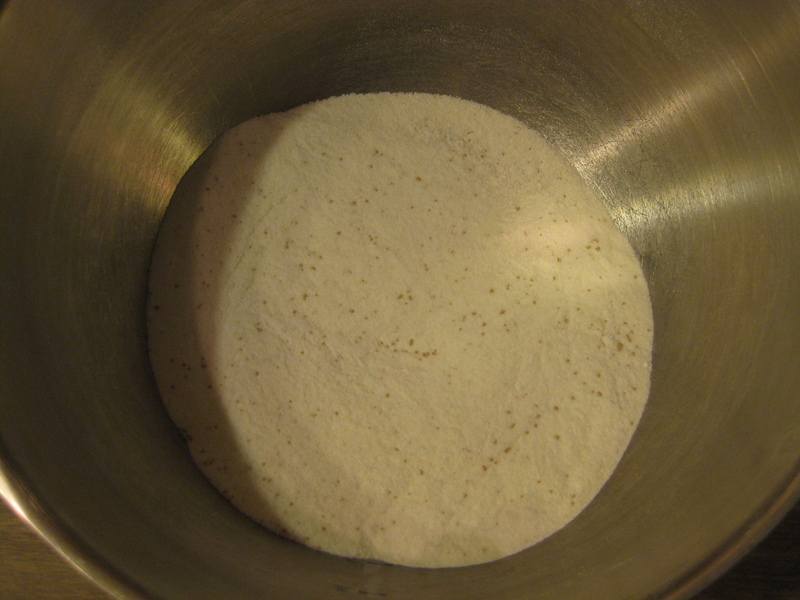 This and the sifting required for four cups of flour took about two hours. I thought everything was going to work fine, but when I mixed in the water, I realized I had a problem. It looked like ricotta cheese, the dough would not form a ball it just fell apart. I discovered then, that rice has no gluten in it, which is what holds dough together. Irritated, I added some powdered gluten and it sort of stuck together. It didn’t rise much, or form baguettes, so, I just rolled it out and baked it. I called it an Oriental Cracker, and it was truly a catastrophe. The next day, Monday evening, I decided to make a lemon torte with the new Pampered Chef pans that I received for Easter. (They’re awesome!) Instead of white, refined sugar, I used unrefined cane sugar, and it all came together quite nicely, if not a bit too brown after baking. Then I made the glaze which consisted of lemon zest, lemon juice, and powdered sugar. 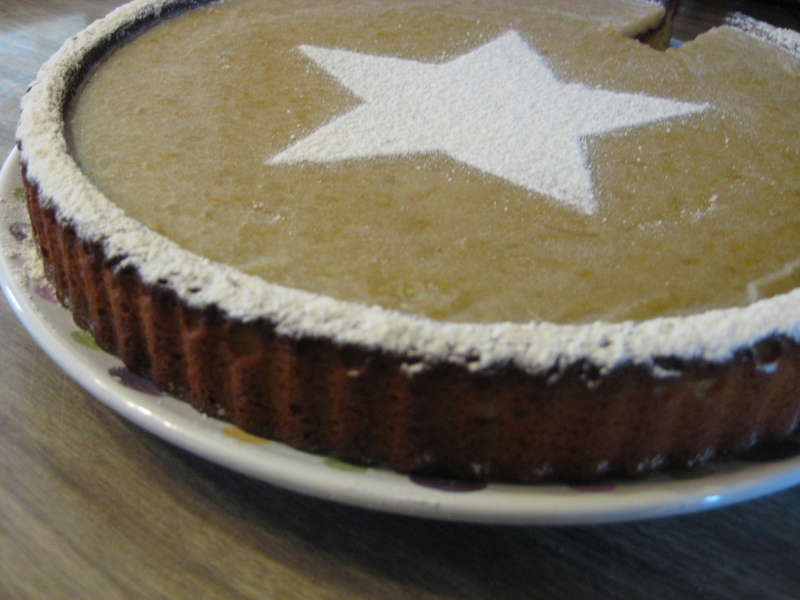 So, I whipped out the Magic Bullet again and made powdered sugar out of the unrefined cane sugar. It all looked lovely, and I left it to set. This afternoon, when I tasted it, the glaze was really strange. It tastes as if the sugar crystals reformed–and that’s not a good texture. It tastes alright, but it’s a very strange glaze. I’m not sure if it had to do with my using homemade powdered sugar or something else. So, after two failed attempts at bringing the world this much closer to refined sugar-free baking, I’m rather frustrated, but still inspired to keep trying. In my readings this afternoon, I found that if you combine rice flour, soybean flour, and potato flour, you can bake well with it. So, I suppose I’ll be trying that next. I’ll be back to writing about Paris in the next post, so, until then, ciao-ciao.